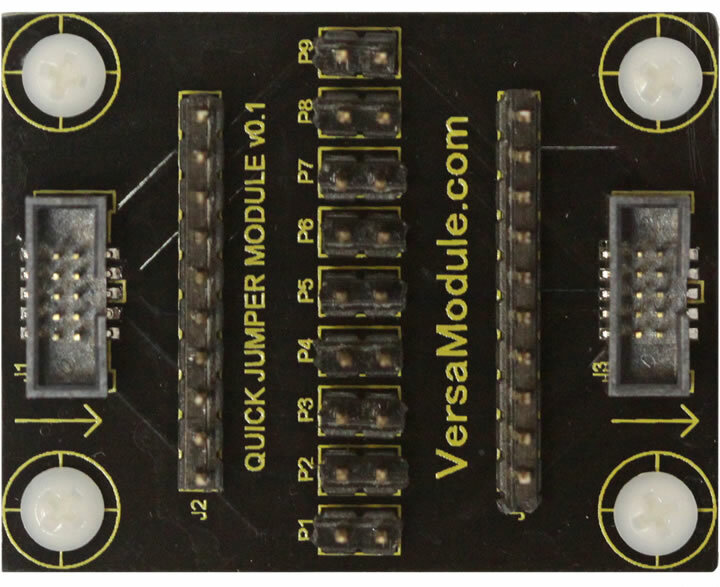 The Quick Jumper Module is designed for use with our Socket Board. The QJM serves several purposes. 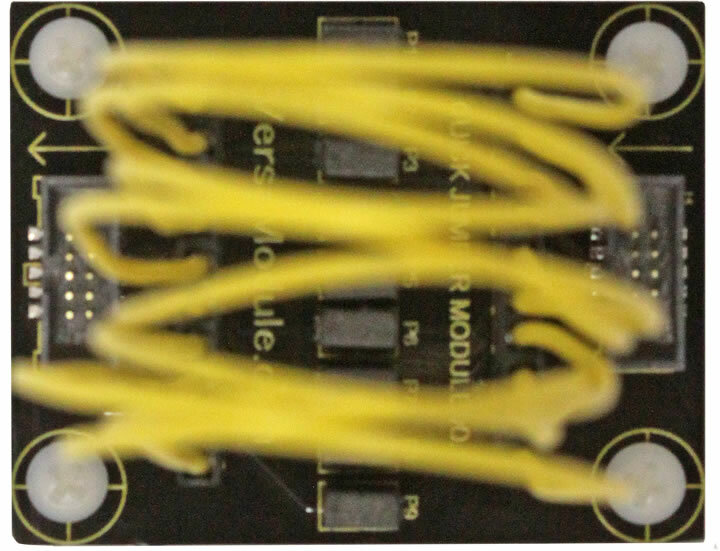 If you wish to tweak or write your own software for any of our modules, you would need to connect a scope to the signals. That is difficult when everything is connected by cables. 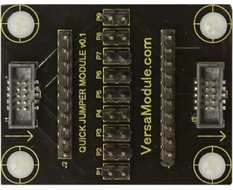 Placing the QJM between the Socket Board and your module allows you access to any of the 10 pins in the cable. This board has additional options as well. The center row of pins is for jumpers and allows the signals to pass straight though; a connection may be broken by removing the jumper. 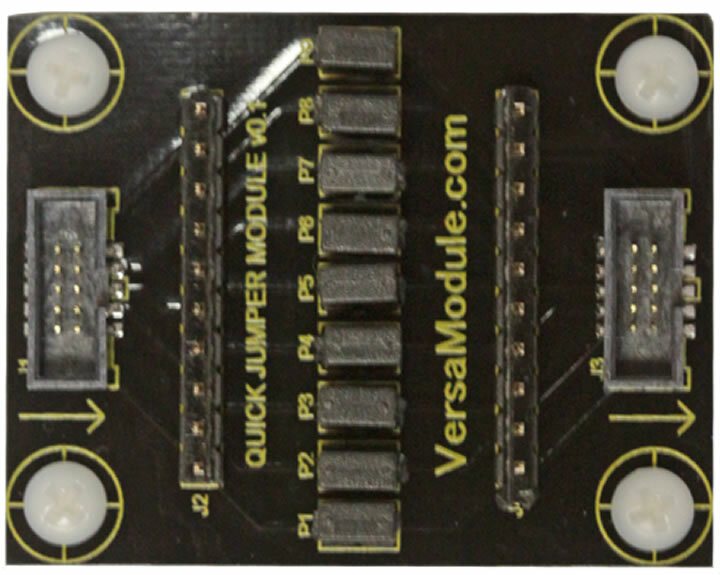 If you have created a module that requires more power that the Nano development kit can supply; remove the power jumper and apply your own 3.3v power supply. 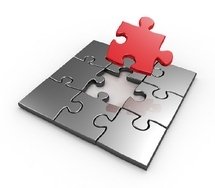 A second option allows you to reconfigure pins from one end to the other. The outside rows of pins are used, and you use the included jumper wires to accomplish this. If you wanted to use a different 10 pin style header (Gadgeteer or other) that has different pin outs, use the jumper wires to match the signals from the socket board to your board. Allows signal monitoring by simply clipping meters or scope leads onto pins. User jumpers to make or break connection paths from one end to the other. Use jumper wires to alter signal paths from one end to the other.